Please join JD Hayworth on Monday, March 1st for a West Valley Town Hall Series and Tuesday, March 2nd for a Tucson Town Hall Series. This is a no host breakfast beginning at 8 am with JD Hayworth speaking at 9:00 am. This is a no host late lunch. I had a wonderful time both driving out to and visiting with the wonderful people of Globe and Gila County today at their Lincoln Day Dinner. There were about 90 people in attendance including several candidates. The Globe High School JROTC served dinner and Sam Morehead was the emcee. My former colleague with Americans for Prosperity, Tom Jenney, spoke on grassroots activism. Sheriff Paul Babeu talked about the trials and tribulations in Pinal County – a county where until just recently, Republicans never won election. He also talked about the nepotism and corruption that has plagued Pinal County government for years and recognized one of his deputies for stopping the recent killers of Gilbert Police Officer Eric Shuhandler. Arizona State Treasurer, Dean Martin, was the keynote speaker. Treasurer Martin gave an enlightening account of the State’s accounting system and the Treasurer’s role over the years and how the numbers predicted Arizona’s recession despite Governor Napolitano’s accounting shell games. Martin’s speech was very impressive and it is easy to see that he will do a great job as Arizona’s next Governor. Other notable candidates present included Bradley Beauchamp, also running for AZ CD-1; Steven Slaton, running for Governor; Sylvia Allen, running for re-election to LD-5 Senate; Brenda Barton, running for LD-5 House; and of course, I was there representing JD Hayworth for US Senate. Thanks to the good people of Globe and Gila County for their wonderful hospitality. When Will Gabrielle Giffords Take A Stance? Jonathan Paton is reaffirming his opposition to the Democrats’ latest plan to push through a government health care bill. But after a year of wavering, what stance has Gabrielle Giffords decided to take this week? In a long-winded statement Thursday, Gabrielle Giffords said a lot — a whole 469 words — but as usual, she conveniently avoided taking any stance on the issue. Jonathan Paton is making his position clear. In just 3 years, state tax revenues have declined by over 35%. This is the worst recession the state has ever faced. Arizona’s state revenues are at or below 2004 revenues [sic] levels. At the same time, since 2004, Arizona has grown – adding over 140,000 students to K-12 and the University system, over 11,000 new prisoners and over 475,000 Medicaid enrollees. The result is Arizona is trying to do more today with less – to serve a growing population. Arizona must continue to attract new businesses and new talent to the state, as well as support our existing small businesses throughout the state. With new business, future tax cuts for individuals and businesses will help attract investment and grow our future economy. Making Arizona as business friendly as possible is the key to our long-term economic success. However, in the interim, it is appropriate for Arizona to look for a temporary revenue source to maintain critical government functions such as public safety and education services to our growing population. As such, a temporary one-cent sales tax increase is a reasonable solution to this problem. A majority of Republican legislators, along with Democrats in both state houses voted to place Proposition 100 on the ballot. Combined with a comprehensive tax reform package that reduces future taxes for both individuals and businesses, Prop 100 would be an appropriate tool to help Arizona build towards economic recovery and meet the needs of a fast growing state. Prescott AZ – Rusty Bowers, a conservative republican running in AZ’s 1st congressional district, signed the Taxpayer Protection Pledge. The Taxpayer Protection Pledge is sponsored by the Americans for Tax Reform and for over twenty years has been a standard carried by candidates with conservative principles. Bowers will visit Washington next week as part of a whirlwind trip where he will meet with other conservative groups, including the Americas for Tax Reform, so he can work with other conservatives to make conservative ideas become policy. After Tuesday’s debate between AZ CD-1 Candidates in Show Low on economic issues, Bradley Beauchamp has distinguished himself as the strongest, most knowledgeable candidate in this crucial field. The debate, originally scheduled between candidates Bradley Beauchamp, Rusty Bowers, and Paul Gosar was narrowed down to two candidates when it became apparent that Gosar was a no-show. Beauchamp and Bowers therefore, were left to display their knowledge of today’s economic issues. According to a poll taken immediately after the well-attended event, Beauchamp received 90% of the votes cast, and Bowers merely 10%. The debate, once again, proved that Beauchamp is the one candidate who is not only willing to travel the district, but can also diagnose, identify with, and improve the economic issues of today. His knowledge of business, commerce, and the Constitution are ideal for a district eager to hear sound reasoning and solid ideas. Bradley Beauchamp was born and raised in Arizona. He worked his way up from washing dishes in a café and laboring in a turquoise mine to becoming a schoolteacher, successful attorney and most importantly, a defender of the Constitution. government and civics in Globe, Arizona. After several years in the classroom, and desiring to study the Constitution more in depth, he was accepted into the Thomas Jefferson School of Law. Upon graduating he returned to Globe to practice law in the small towns and rural communities of Arizona. He is endorsed by many Republican leaders in Arizona’s First Congressional District, including Charles Christensen, Bobbi Peterson, John Rhodes, Terri Kibler, and Rick Fernau. This just in from the Jim Deakin campaign. Deakin will visit the campaign headquarters of JD Hayworth today at 2 PM to issue the challenge. It has come to my attention that you have extended an offer for a series of debates with John McCain. As the original challenger to the U.S. Senate seat he currently occupies, I have been requesting the opportunity to debate Mr. McCain for months. I have approached several organizations including TEA Party groups, with a request to organize our debates. Now that you are in the race, I welcome your participation, and your efforts in prompting Mr. McCain to come and debate his challengers before the Arizona voter. I understand your contention, and agree with you that our current Senator must participate in debates with us. However, I also understand that this Senators’ time is limited and a great deal of his attention must be focused on vital tasks in Washington D.C. as he finishes his final term as our representative. In the meantime, you and I are here, in Arizona, with no encumbrances. I see no reason why you and I cannot start the debate season without his participation. So let’s get started. I have been the TEA Party Activist candidate in Arizona for 14 months. The Greater Phoenix TEA Party and the Flagstaff TEA Party/ROC’n are ready and eager to host a number of debates. Mr. McCain will always be welcome to join us when he is in available. PHOENIX. February 26, 2010. 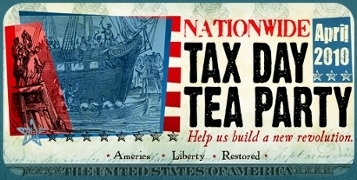 TaxDayTeaParty.com announced their official endorsement of conservative U.S. Senate candidate J.D. Hayworth after seeing substantial support in a poll last week. The endorsement can be found here: http://taxdayteaparty.com/2010/02/hayworth-vs-mccain/. When asked if activists would support Hayworth in his run against John McCain in 2010, 79-percent of thousands of respondents said that they would indeed support Hayworth. McCain received 8-percent. The poll can be found at http://taxdayteaparty.com/2010/02/poll-would-you-support-jd-hayworth-against-john-mccain/. McCain is vulnerable to the more conservative Hayworth on taxes, pro-life and pro-family issues as well as illegal immigration. Hayworth also has a better lifetime rating from Citizens Against Government Waste than the 28-year member of Congress. Senator McCain also opposed significant tax cuts in 2001 and 2003 while Hayworth supported them. McCain voted for the $850 billion bailout of the big banks which included $150 billion in pork, proposed a $300 billion bailout for mortgage lenders and, according to the Heritage Foundation, sponsored an amnesty bill that would have cost taxpayers $2.6 trillion over the long-term. More recently, McCain is co-sponsoring legislation with Democrat Senator Byron Dorgan to massively expand government’s role with vitamin and health supplements. For more information about the campaign or to make a donation please go to www.JDforSenate.com. If that link doesn’t work for you, just go to www.aztaxpayers.org and scroll down under What’s New until you see the photo. Location: Harry Mitchell District Office, Camelback and Scottsdale Road, SE corner. More Info: http://www.meetup.com/Scottsdale-Tea-Party/calendar/12706997/ Keep calling Congressman Mitchell! His Scottsdale number is 480-946-2411. DC number: 202-225-2190. Protest Info: Among other fun things, AFP Arizona will deploy its giant ATM machine, to make the point that the people of Scottsdale are Already Taxed to the Max. We are encouraging the people of Scottsdale to vote NO on the Prop 200 Bed Tax. More statewide taxpayer events are posted at www.aztaxpayers.org. Scroll down to the top items under What’s New. PHOENIX, Ariz., Feb. 25, 2010 – Results from a special poll of Arizona small business owners released today by their leading representative association show 71 percent of them voting ‘No’ on Proposition 100, the May 18 ballot referendum seeking a three-year, 1¢ increase in the state sales tax. Unique among most associations, NFIB bases its legislative lobbying positions and political action solely on what its members tell it, through regular balloting, are the issues vital to their survival as small business owners. The special ballot on Proposition 100 was faxed and e-mailed February 17-19. Should Proposition 100, adding 1-cent to the state sales tax rate for 3 years, be passed into law?